Course Objectives: Firstly, you will learn safe firearms handling in addition to firearm training on the range with both a semiautomatic and a revolver. During class, we will help you understand your rights as defined by Florida Law and your rights defined by reciprocating states. 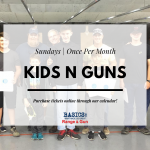 In addition to, we assist you with firearm selection, ways to carry your firearm, ammunition selection and proper mindset. As a result, you will be confident in learning to protect your home and loved ones. Requirements: All are welcome to take this wonderful course. We spend a lot of time on all aspects of gun ownership. Most importantly, wear closed toe shoes and high cut shirt (range safety). Register today for our Concealed Weapons License Course today. In conclusion, if you live in Ponte Vedra, Middleburg, Fleming Island, Green Cove Springs, Orange Park, Mandarin, Jacksonville or Jacksonville Beach; our course is worth the travel, we guarantee it!